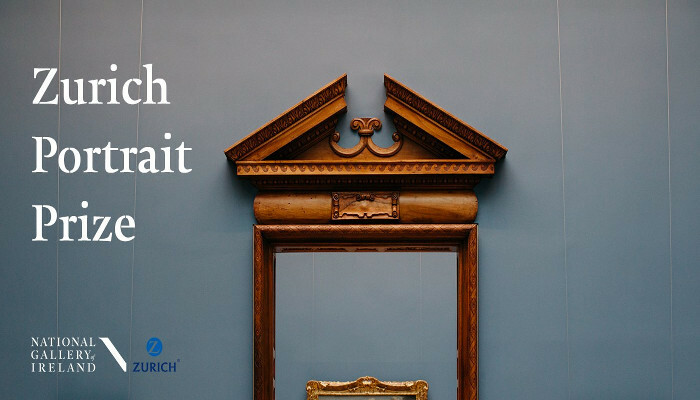 There is less than a month for artists to enter the prestigious Zurich Portrait Prize at the National Gallery of Ireland. Geraldine O'Neill, Sue Rainsford and Tanya Kiang have been announced as the judges for the 2018 Zurich Portrait Prize. Geraldine O’Neill lives and works in her native Dublin and has exhibited extensively in Ireland and abroad including at the National Gallery of Ireland, the Irish Museum of Modern Art and the National Portrait Gallery, London. Sue Rainsford is a writer and researcher based in Dublin and is the recipient of the Arts Council Literature Bursary Award and the VAI/DCC Critical Writing Award. Tanya Kiang has over 25 years’ experience in the visual arts in Ireland. She was Editor of the Irish visual art magazine Circa from 1991-98 and has been the Director of the Gallery of Photography since 1998. The Zurich Portrait Prize invites applications from artists living in Ireland, and from Irish artists based abroad. the deadline for submissions is 22 June 2018. Shortlisted artists’ works will be exhibited in the Gallery from 6 October 2018 – 13 January 2019. The competition is open to artists working in all media. The winner will receive a cash prize of €15,000, and a commission worth €5,000, to create a work for inclusion in the National Portrait Collection. There will also be two awards of €1,500 for highly commended works. For competition entry details see the National Gallery of Ireland website. Last year’s Portrait Prize winner was Jack Hickey, with commendations awarded to Myra Jago and David Hamilton. Previous winners are Vera Klute; Gerry Davis and Nick Miller. This year, the Gallery plans to extend the reach of the competition and engage a wide range of audiences around the country through a supporting education programme. There will be local talks by shortlisted artists, tours and workshops on portraiture. Established in 1854 by an Act of Parliament, the National Gallery of Ireland houses the nation’s collection of European and Irish fine art spanning the early Renaissance to the present day, with over 16,300 works of art. The Gallery is also home to the National Portrait Collection (established 1874). Since 1998 the National Portrait Collection has been enhanced by works which reflect both a more contemporary engagement with the affairs of the nation and a broader range of subjects. Who could forget Dustin at Eurovision?